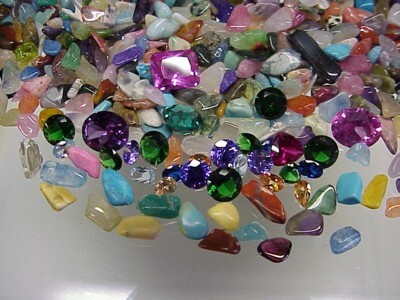 Imagine searching through your very own bag of valuable gems. Each bag will contain faceted gems with a high combined retail value. The combined weight of these faceted gemstones will be 5 carats with the average gemstone weighing 1 carat or more, while the 1000+ polished gemstones will measure 3/8 inches or smaller in size.